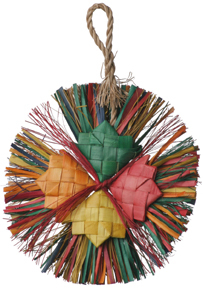 These colorful "corn cobs" are strung on natural fibers with cuttle bone rounds which your birds will love to shred! A great and affordable, natural toy! 7" x 1.5"